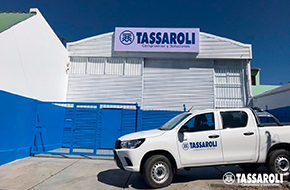 Besides the main plant located in San Rafael, Mendoza, TASSAROLI has Operational/Commercial Bases in other locations within Argentina (Comodoro Rivadavia and Neuquén), as well as in Chile, Brazil and the USA . These bases allow a close presence to our clients, offering them product stock services and advice on their use. Commercial/Operational Base from which the oil industry of the Neuquina Basin is covered. – Perorating guns and connection and firing-line accessories. Commercial/Operational Base from which the oil industry of the San Jorge Gulf Basin is covered. – Valves and Seats for mud pumps, cementation and fracture. 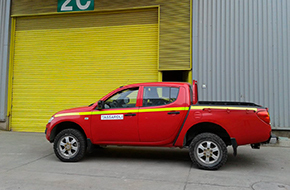 Besides, we offer the service of Work Over Bottom Engine rental, of tubing recovering, mandrel repairing and after-sale assistance for water flow valves. 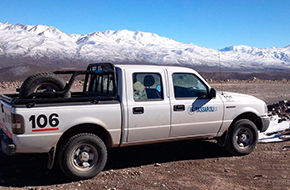 A sub-base located in Pico Truncado, Santa Cruz (145kms from Comodoro Rivadavia) completes the service infrastructure of the base. Commercial/Operational Base from which the mining activity of the different regions in Chile is covered. – Tricone Bit sub Adapters, Stabilizers and Top Sub Adapters. – Spare parts for pneumatic drills. – Bars and accessories for Reverse Circulation. Commercial/Operational Base from which the oil activity of the different regions in Brazil is covered. 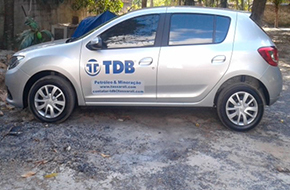 Assisting from this base our local clients to fulfill their requirements and needs.